Borussia Dortmund hope a European result at Sporting Clube de Portugal can spark a Bundesliga turnaround. Borussia Dortmund face Sporting Clube de Portugal in the UEFA Champions League on Tuesday (kick-off 20:45CEST/18:45GMT) looking to consolidate their position at the top of Group F.
Why not pick up a few Dortmund players for your Official Fantasy Bundesliga team? Click here! Though they may have gone two games without a win in the league, Dortmund have excelled in Europe so far this term. They thrashed Legia Warsaw 6-0 away from home in September and then dominated the defending European champions Real Madrid CF on Champions League Matchday 2. Thomas Tuchel's charges were unfortunate not to have taken all three points against the 11-time champions of Europe, but they should remember that they retain a strong chance of reaching the knockout rounds as they prepare for a double-header of games against Sporting following last Friday's 1-1 draw with Hertha Berlin. Despite the international break, it has been a hectic period for Dortmund lately. Due to European commitments and an Englische Woche in the Bundesliga, BVB have played seven matches over the course of three weeks before the international break. The burden has taken its toll: Dortmund now have nine players missing with injuries, and defensive duo Sokratis Papastathopoulos and Lukasz Piszczek, back with the squad for the match in Lisbon, are unlikely to be at 100 percent. What will encourage the BVB coach, however, is that he has a squad deep enough to deal with the shortfall in personnel. 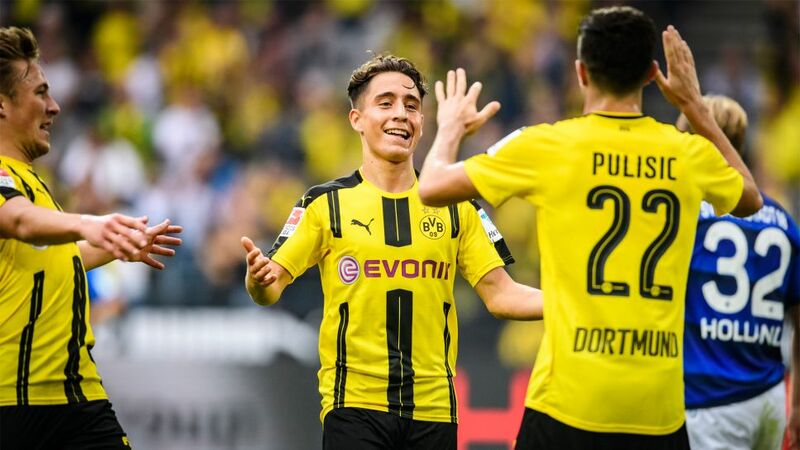 The likes of Christian Pulisic, Ousmane Dembele, Emre Mor, Raphael Guerreiro, Marc Bartra and Felix Passlack are all fit and eager to impress and will undoubtedly be afforded that opportunity on Tuesday.